1. Download the file outlook.ics by choosing the right “Download Once” link above and choosing Save. 2. Choose a folder, for example the Desktop, then click OK.
3. In Outlook, click the File menu, then Import and Export. 4. Choose Import as an iCalendar or vCalendar File (.vcs) and click Next. 5. Find the folder where you saved the file in step 1, then select the outlook.ics file and press OK.
6. The fixtures will appear in your Outlook calendar. The outlook.ics file is no longer needed. IMPORTANT: Due to limitations of Outlook 2002/2003 we are unable to offer an auto-update service for Outlook 2002/2003 users. This means if fixtures change your calendar will NOT automatically update. 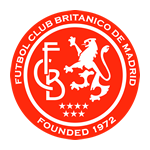 Fixtures are subject to change and FC Británico de Madrid will not be held responsible for incorrect information being presented in users calendars. By downloading the above links, you accept & confirm that you (a) shall only use the fixtures lists for your own personal private use and not for any commercial purposes; and (b) shall not authorise or permit any third party to use or reproduce the fixtures lists.